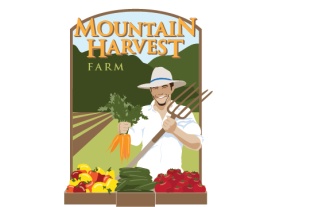 Who is Mountain Harvest Farm LLC? Mountain Harvest Farm LLC is a young farm enterprise with old roots. We, Mary Oldham and Francisco "Chico" Ramirez, are excited to come full circle to live in and serve the Morgantown West Virginia area. We moved back to Morgantown-Mary's hometown- in 2012. Prior to that we were living in Chico's home country of Honduras where Mary was a Peace Corps volunteer working with a women's agricultural cooperative and Chico was running his family farm and selling vegetables to supermarket chains. We bring different agricultural approaches and experiences to the table in our small but growing Mountain Harvest Farm LLC. We are blessed with the help and support of our friends, family, and Owl Creek Farm owners Del and Linda Yoder. We couldn't have launched this without you all - thank you! We are committed to providing the quality and quantity desired of our customers using environmentally-friendly organic growing practices. You can learn more about our simple philosophy, Certified Naturally Grown status, and practices here. We are in the process of obtaining USDA Organic Certification as well. Thank you to those that have supported us so far! We look forward to sharing many years of healthy food and fellowship with you! 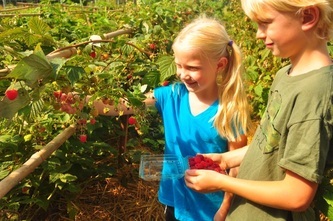 We are excited and grateful to be farming at Owl Creek Farm again this year! This will be our sixth growing season here and our fifth season of the CSA. Known fondly by many as the "pick-your-own strawberry farm", Owl Creek Farm has been brightening the summer days and plates of the Morgantown area for years. 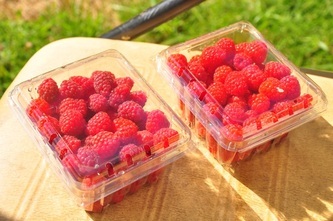 After producing strawberries for over 30 years, they retired from the business a few years ago. Del & Linda Yoder, Owl Creek Farm owners, have provided infinite inspiration, mentorship, and support to us as we have farmed at Owl Creek over the last few years. We are blessed by their support and inspired by their commitment to community service, land stewardship, farm education, and endless learning and adventure. It has been a joy to be part of Owl Creek Farm's tradition of connecting us all to farming, food, & fellowship.